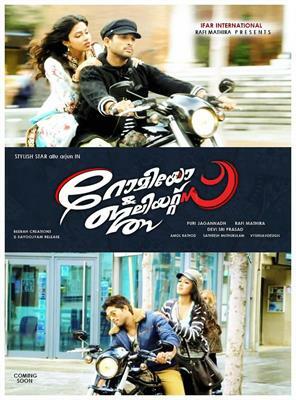 Romeo and Juliets malayalam movie review and FDFS reports from theatres in Kerala are given here. 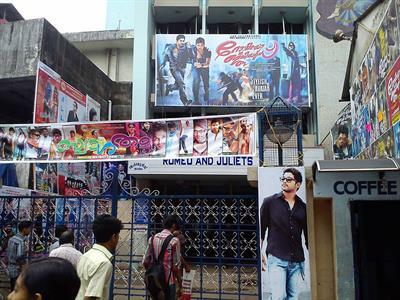 Romeo and Juliets movie first day first show report is updated here. When Allu Arjun and Puri Jagannath join for a project, it would be the last word of entertainment. Amala Paul and Katherine Tresa are the lead heroines in Romeo and Juliets. For Ifar International this movie is presented by Rafi Mathira. Scroll down to read the review of the movie. After the grand success of his previous flick 'Gaja Pokkiri', heartthrob Allu Arjun has teamed up with hit maker Puri Jagannath for the movie titled 'Romeo and Juliets'. The movie touted as one of the most anticipated malayalam movie in 2013 got released on 31st May with more than 3000 screens including 175 plus screen overseas. For Ifar International this movie is presented by Rafi Mathira. Romeo and Juliets' is having Amala Paul and Catherine Tresa as lead heroines. Produced by Bandla Ganesh under Parameswara art productions, this movie is simultaneously released in Telugu as 'Iddarammayilatho' and in malayalam as Romeo Juliets. Made with a budget of 45 crore, Iddarammayilatho will have Brahmanandam, Nassar, Kaajal Vashisht, Subbaraju, Devshi Khanduri, Srinivas Reddy and Ali donning prominent roles. Shot exclusively at Spain and Bangkok, this romantic entertainer revolves around the life of an Indian youngster who falls in love with two young girls while staying in Spain. Sanju (Allu Arjun) is a lead guitarist for a band based in Spain. Akanksha(Catherine Tresa), the daughter of an Indian politician arrives to Spain for higher studies. Akanksha who got attracted towards a diary which shares a love story between Komali Sankarabharanam(Amala Paul) and Sanju. Getting much attached to the characters, Akanksha finds Sanju and gets explanation about the tragic end of the beautiful love story which later creates a feeling towards him. As Akanksha proposes to Sanju, the story gets more interesting. Will Sanju accept the love offered by Akansha? What really happened to Komali? Rest of the movie enters a thrilling phase which keeps the audience intact. Nothing to lose, as the young film maker Pauri Jagannath has put his total effort by delivering a complete entertainer for the huge movie enthusiasts. His talent and dedication for the work is seen throughout the movie. The talents of all the characters were drawn out at its best which is not much seen in a film maker. He also had succeeded in giving his signature touch making his involvement in all fields of the movie including acting, music, cinematography, action sequences. Allu Arjun had given his best for the movie by giving life to a character which can woo the audience. Catherine Tresa would be the biggest surprise in the movie. She is on the mood to keep her career growing in the industry. The offline chemistry between Allu and Catherine was much visible on the silver screen. Breathtaking action sequences choreographed by Hollywood stuntman Kaeche Kampakdee kept the real pace of the movie. Allu was much comfortable in dance and fights. Amala Paul had done her part well, while the music delivered by Devi Sri Prasad was much soothing for the ears. The songs were put at the perfect slot making the audience enjoying it. The choreography and cinematography had done the real work for the movie. Romeo and Juliets would be a perfect entertainer for those who love to spend their time worthily.